PCAAE was visited on August 24, 2018 at its secretariat headquarters by officials of the Singapore Tourism Board (STB) https://www.stb.gov.sg/Pages/Home.aspx. The STB is a statutory board under the Ministry of Trade and Industry of Singapore which champions the development of Singapore’s tourism sector, one of the country’s key service sectors and economic pillars, and undertakes the marketing and promotion of Singapore as a tourism destination. 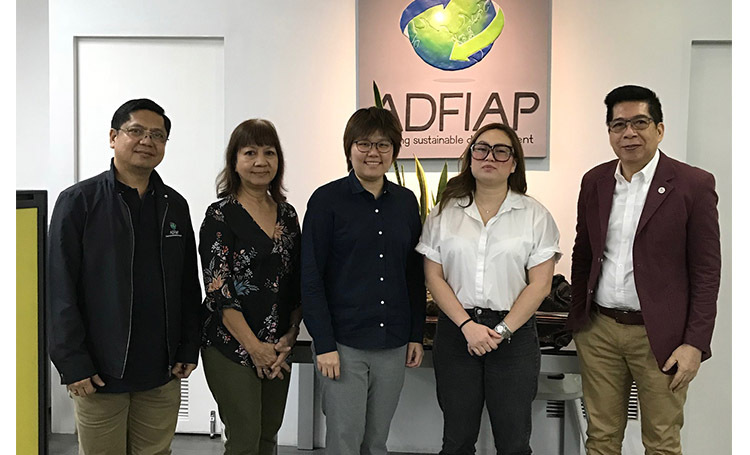 Ms. Lael Loh and Ms. Carla Rabanzo; of STB’S Philippine Office met with PCAAE officers, Octavio B. Peralta, Mr. Enrique Florencio, and Ma. Sandra I. Lim on STB’s possible involvement in PCAAE’s Association’s Summit 6 (AS6) to be held on at the Subic Bay Exhibition and Convention Center in Subic Bay, Zambales on November 23-24, 2018 as well as other programs and events of PCAAE.